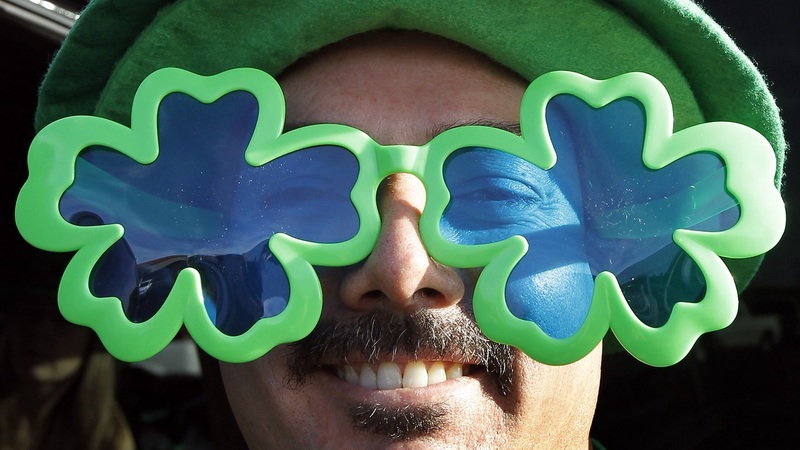 Celebrate the luck of the Irish with these deals at some of your favorite businesses! This year, you can get one of five delicious mean green drinks for St. Patrick's Day, including the classic Shamrock Shake, the Chocolate Shamrock Shake, the Shamrock Chocolate Chip Frappé, the Shamrock Mocha and the Shamrock Hot Chocolate. What's really cool is McDonald's is giving 25 cents to Ronald McDonald House Charities for each McCafe Shamrock Chocolate beverage purchase. McDonald's has added a Chocolate Shamrock Shake to its menu this year. Today is your lucky day! Get $3 green beer or $5 Jameson on St. Patrick's Day only. Green beer just makes you happy, and you can get one with a burger for just $10 from now until March 19, from 3pm to close. The doughnut maker is rolling out special green glazed donuts for for Saint Patrick's Day. Try the Shamrock Sprinkle Donuts, topped with chocolate frosting and scrumptious shamrock sprinkles. Some locations will also have a St. Patrick's Day Coolatta for sale, which they describe as a vanilla bean-flavored drink. Nothing quite hits the spot like some mint chocolate chip ice cream, but today you can also take home a green ice cream cake, adorn with four leaf clovers, a rainbow and a pot of gold at Baskin-Robbins! The Oreo Irish Mint Shake is perfect for St. Patty's Day. Get one now! If you are a member of the Shore Points rewards program, today you can double your points at all 1,200 Jersey Mike's locations in America. Click here for a $2 off coupon, good for a Big Bagel Bundle. The the green bagels today for St. Patty's Day! While supplies last, get a free mint-chip Timbit with the purchase of any beverage. Head out for a special lunch or dinner, featuring sliced corned beef with cabbage, carrots and potatoes with spicy brown mustard.